A great item for your Halloween party that your guests will certainly appreciate. 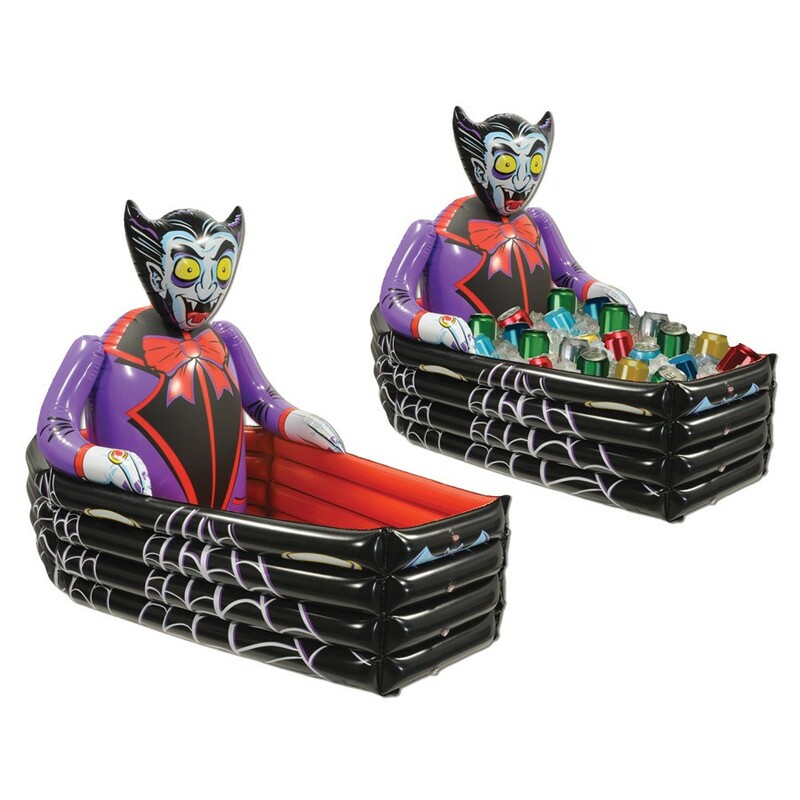 Put this inflatable vampire's coffin on your buffet table or, better yet, on the floor and fill with ice and whatever food and beverages need to be kept cool. Get more than one, fill them with beverages and scatter them around your house! PVC. 3ft 6in W x 30in H. Needs to be inflated. Holds approximately 48 12oz cans.